Another in an ongoing series of horn players who double on flute. Today, Byard Lancaster. 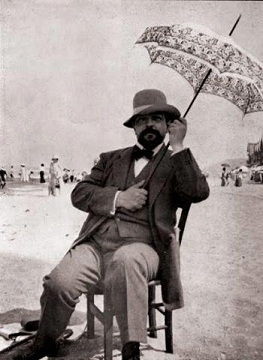 Claude Debussy’s 150th birthday was this week, he’s long gone…but not forgotten. My favorite recording of the Preludes. Very fine transcriptions for 8 string guitar, works rarely heard on solo guitar. I couldn’t resist getting a copy of this album, it may be the only recording of IV. Beautiful ECM production too. Two recordings with the legendary John Abercrombie. I just heard him at Birdland, NYC last week, first time in years….top notch stylistically diverse show featuring tunes from his new ECM album (which I don’t have yet). Abercrombie has done a few albums with Marc Copland, they really work well together. Stunning playing all over this album, but there are.notable tracks: great soprano playing on a version of My Favorite Things, soprano brings out the best in players. Solo bass clarinet is featured on the meditative Mr. G (George Gilmore). I got my copy from Downtown Music Gallery. Produced by Sam Charters. Listening to some Jazz, listening to some old Rock. Great album, the only one released from a projected trilogy of albums with Brian Eno. 10 string guitar legend, sort of a greatest hits package. A very beautiful set of transcriptions, highly recommended! YouTube may be the only place to hear this masterpiece now. Sparkling transcription for violin and electric piano(!). Highly recommended. Great news! I was just talking about this concert last week, wondering what was happening with the recording…strange, I didn’t know it was coming out. Maybe there’s more on the way, Impulse reissues, for example. Peter Hum lists The Sam Rivers Trio’s Reunion: Live in New York. We have been working on this release for about two years now and are happy this day is almost here. Out September 25th, what would have been Sam’s birthday. 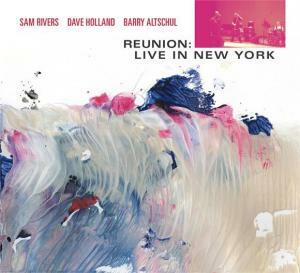 Let’s leave aside any cynical musings about why the music on this music remained unreleased until after last December’s passing of Sam Rivers, and just try to be patient until this release, which documents a 2007 reunion concert featuring Rivers, bassist Dave Holland and drummer Barry Altschul drops on Sept. 25. At a Columbia University concert, the three free-form masters picked up where they left off after a 25-year hiatus. In his review of the show for the New York Times, Nate Chinen wrote that the concert “confirmed the expressive power of collective improvisation.” I look forward to hearing the particulars. the original NY Times review: Honoring an Avant-Garde Eminence of the Saxophone. 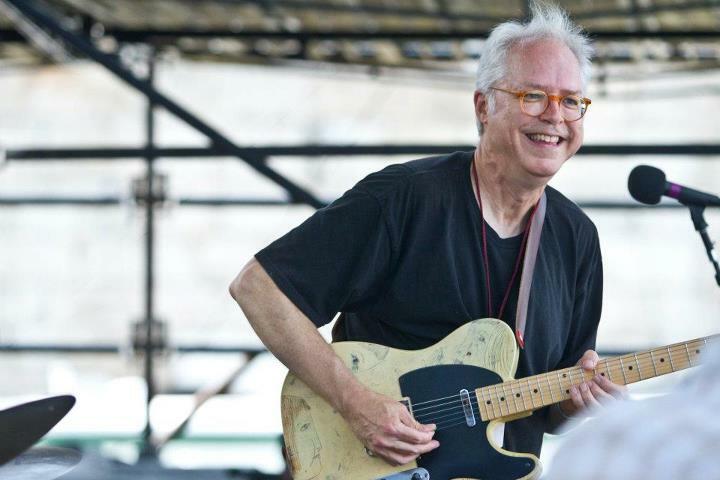 Bill Frisell Plays John Lennon on the Fort Stage at the 2012 Newport Jazz Festival. Photo: Erik Jacobs for NPR. Last weekend I caught a bit of Bill Frisell Plays John Lennon, Live In Concert: Newport Jazz 2012 on local station WBGO, Newark, NJ. When I got home, I realized NPR has a lot of these shows archived on the National Public Radio website. Some of these are even downloadable as mp3 files, some not. I’ve heard a bit of John Hollenbeck Claudia Quintet + 1 and I’m looking forward to checking out sets by Jack DeJohnette and more of the Bill Frisell performances. 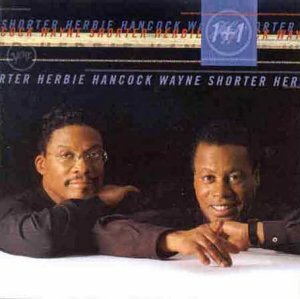 After years of listening to Wayne Shorter’s essential contributions to the Miles Davis group and his own Blue Note albums I noticed this album with Herbie Hancock, 1+1. I had been listening to a lot of Debussy and this duet album seemed like something I’d enjoy. Wayne plays soprano saxophone exclusively and Herbie only plays acoustic piano. The tunes are pretty short and direct, reminding one more of classical chamber music than jazz. 1+1 could have been an ECM album! I’ve heard a radio broadcast or two from this duo and the masters stretch out a bit, the result is more like what most folks would expect from this album. Probably long out of print, I’m sure there’s plenty of used copies out there. Ignore the negative reviews on Amazon and All Music Guide and give this one a try. I’m glad I did. Beyond category or idiom, audacious in its very idea, Herbie Hancock and Wayne Shorter perform a little over an hour of spontaneous improvised duets for grand piano and soprano sax. That’s all — no synthesizers, no rhythm sections, just wistful, introspective, elevated musings between two erudite old friends that must have made the accountants at PolyGram reach for their Mylanta. 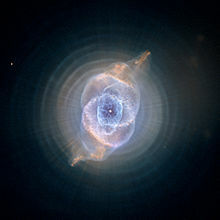 Hancock’s piano is long on complex harmonies of the most cerebral sort, occasionally breaking out into a few agitated passages of dissonance. His technique in great shape, Shorter responds with long-limbed melodies, darting responses to Hancock’s lashings, and occasional painful outcries of emotion. 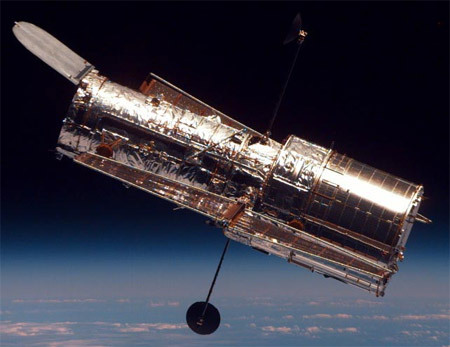 The leadoff track, “Meridianne — A Wood Sylph,” clearly takes off from a base of Satie to set the reflective mood for nearly the whole CD; only the final, brief “Hale-Bopp, Hip-Hop” offers a hint of comic relief. All of the tunes, save for Michiel Borstlap’s “Memory of Enchantment,” are Hancock or Shorter originals; some, like Hancock’s “Joanna’s Theme” (from the film Death Wish) and Shorter’s “Diana,” date back to the ’70s. As avidly as this music was awaited and as wildly as it was acclaimed by critics, it doesn’t really touch the emotions as deeply as the best of the pair’s work together and apart. It stands as a graceful, high-minded anomaly in the output of both, but not something you would expect to pull off the shelf to hear too often. Bah! I listen to this all the time, it’s a great album, but we’ll probably never hear one like this again.